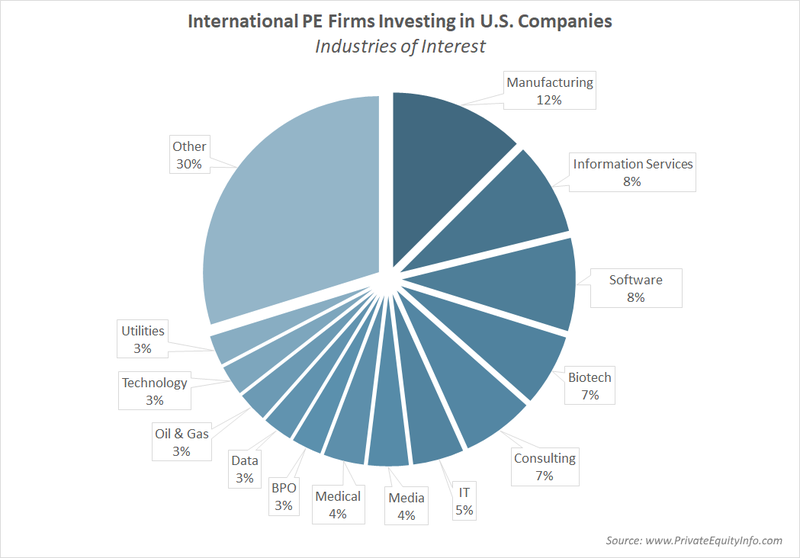 I probed our private equity database to discover non-U.S. private equity firms that have made investments in U.S.-based companies. I wanted to know the primary industries of interest for these international financial sponsors over the past 12 months. The industry themes are shown below. The specific portfolio companies: name, city, state, country, website, investment date, business profile. We will send you the file within 24 hours (but typically the same day). As an aside, in the course of this data study, I also determined which investment banks and law firms are most active in these cross-border deals (where the buyer is outside the U.S. but the investment is inside the U.S.).